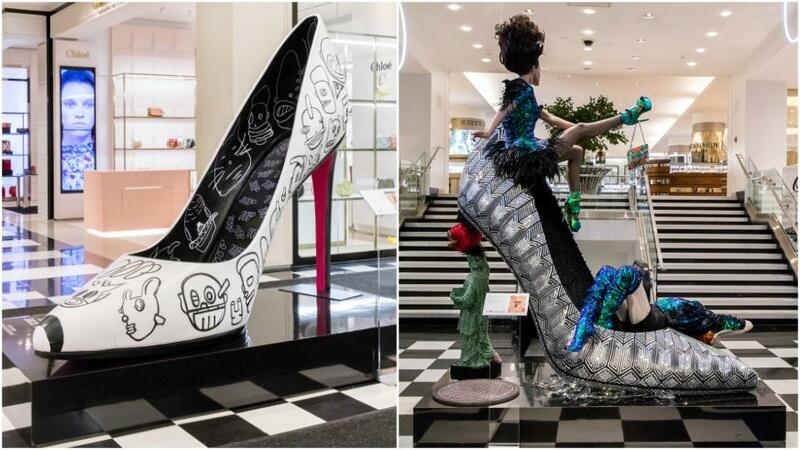 No offense to Ferragamo, but the giant shoe sculptures steal the show at Heart of Shoe York, an entirely new floor of Bloomingdale's dedicated to shoes. A whole wardrobe of giant shoes lurk all around the store. Forget all the enviable closets you’ve ever seen, because Bloomingdale’s just put them all to shame. 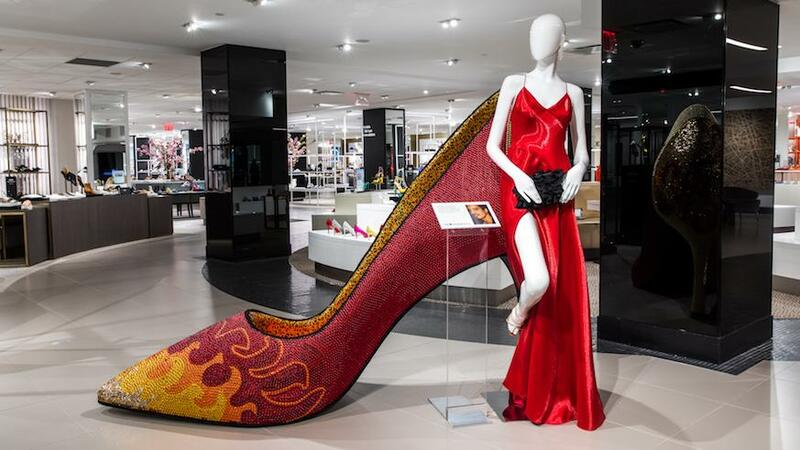 The department store’s flagship location at 1000 Third Ave. on 59th street has converted its entire fifth floor into a 26,763-square-foot destination for all things shoes called The Heart of Shoe York. That’s enough space for the entire spectrum of footwear to coexist peacefully, from the shelves of Birkenstock sandals to walls of Kenzo sneakers, tables of Tory Burch espadrilles and racks of Salvatore Ferragamo pumps. [post_ads]There’s even a custom shoe shop by Italian brand M.Gemi, and cobbler services to repair leather shoes and handbags, as well as repairing stitching and resoling. 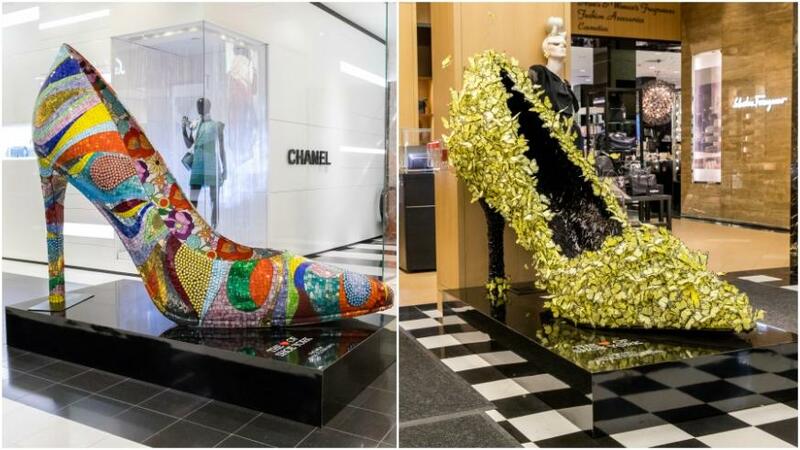 You’ll want to take a walk throughout the other floors, too — shoe mania has taken over the entire store, from the sidewalk window displays to a whole wardrobe’s worth of giant shoes created out of flowers, butterflies and more non-wearable but decidedly gorgeous materials scattered all around the store. 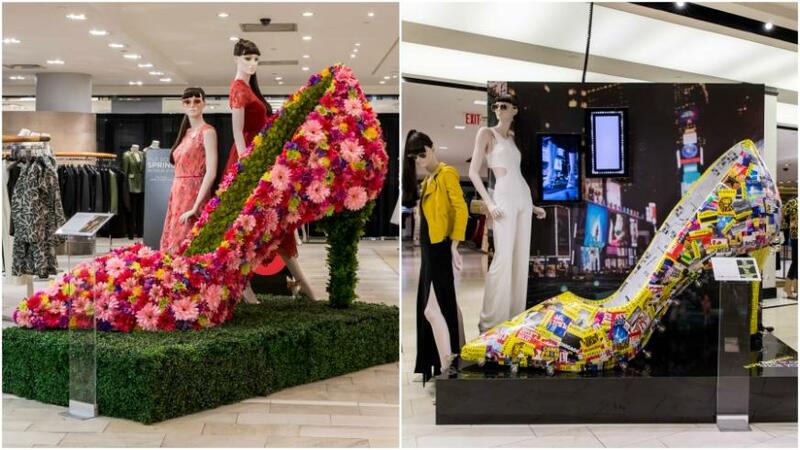 The store is also hosting special events throughout the month of April, like a styling session with Sarah Jessica Parker (April 7), make-your-own shoes with Jimmy Choo (April 12-15) and a Kate Spade anniversary party with drinks, bites and gifts (April 19). 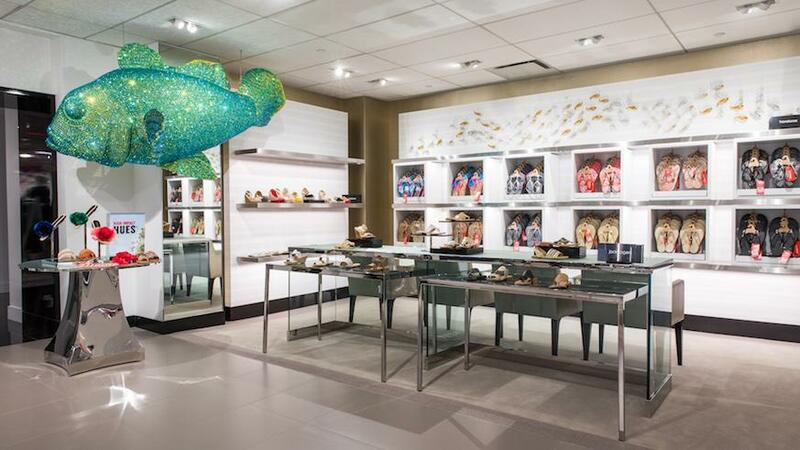 The fifth floor of Bloomie's on 59th Street is now wall-to-wall shoes.